Tournaments in 18Birdies offer the following options for using and applying players' handicaps. 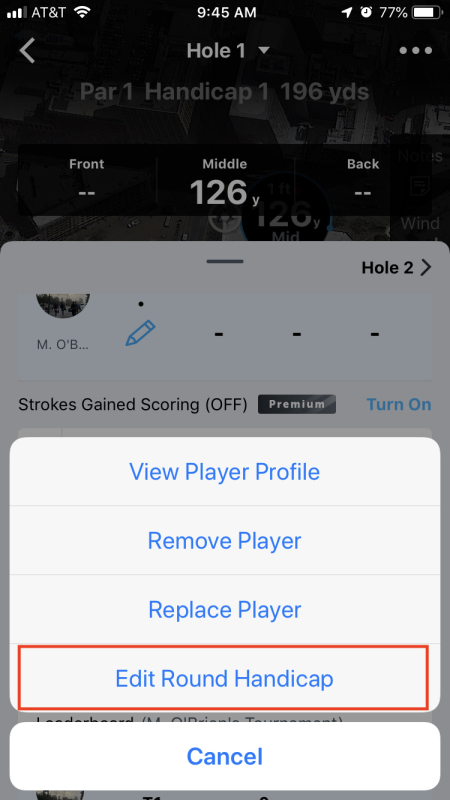 Selecting the Use Player's Full Handicap option will take the player’s full handicap when scoring for net events. Tournament organizers can set a maximum handicap for the player’s handicap to be used for scoring a net event. 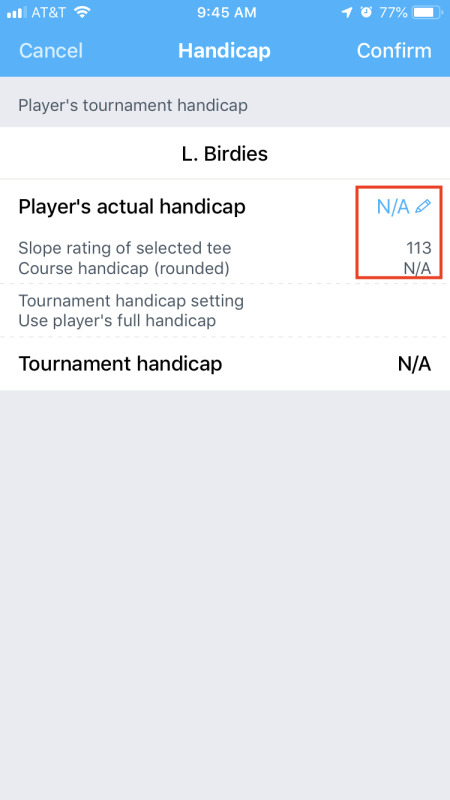 Tournament organizers can set a percentage of the player’s handicap to be used for scoring a net event. Prior to the start of the tournament, the tournament organizer selects six “secret” holes. Typical hole selections are two (2) par 3’s, two (2) par 4’s and two (2) par 5’s. After all scorecards are turned in, the net scores will be determined by totaling the scores on the six secret holes. Tap six holes to select Peoria holes. 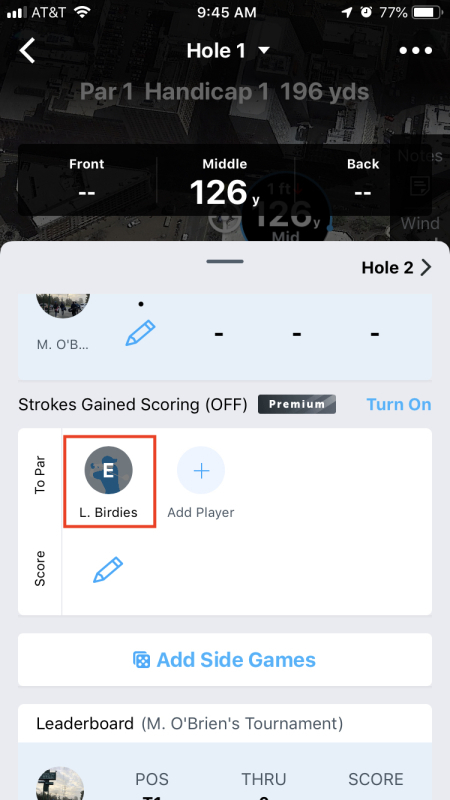 Holes can be selected during the tournament setup, immediately before the tournament begins, or you can specify that 18Birdies chooses the holes for you randomly. 1. During the tournament setup process, you will come to a screen titled Handicap Settings. 2. 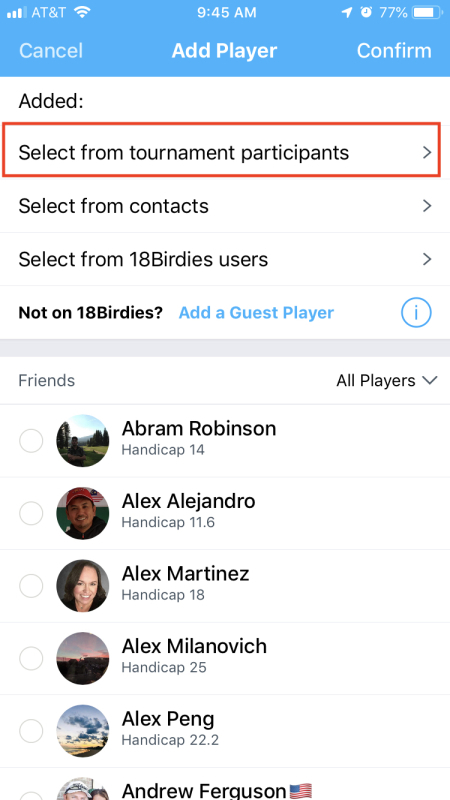 Once you have started your round, you can adjust handicaps for players in your playing group. Start your round and Add a Player to your round. 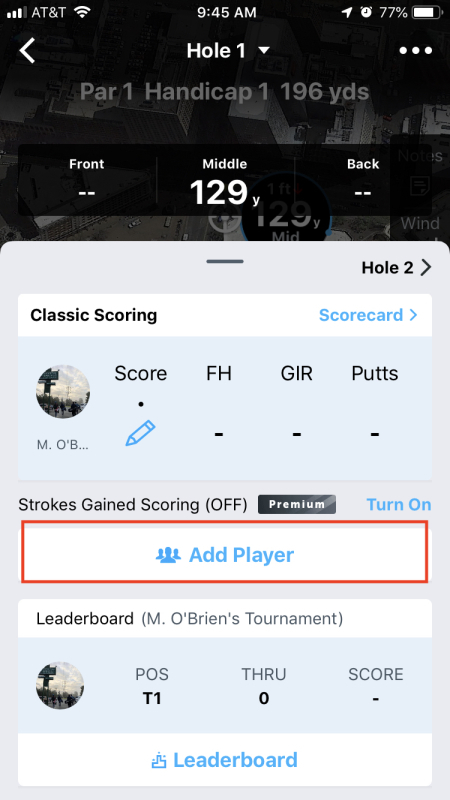 Confirm the player is on your scorecard, then tap the player's picture/icon. 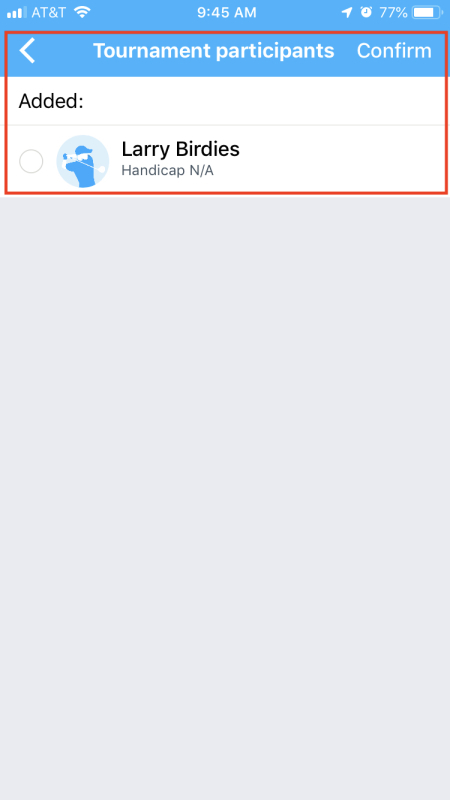 Tap Edit Round Handicap, then tap the blue pencil icon to open the number pad. Once entered, tap Confirm. 09 How to Use Tournaments from 18Birdies on Vimeo.